R.E.A.D programme has been created to build print awareness, vocabulary, spelling and grammar, fluency, comprehension, writing and reading and listening skills early in every child’s life. 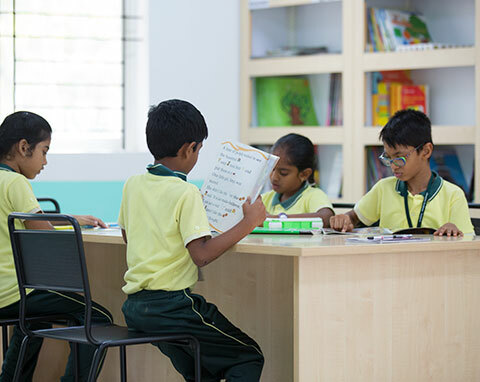 It is purely designed to motivate the students to understand the nuances of language and the joy of reading. 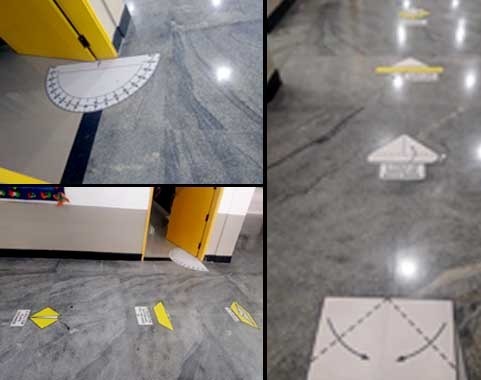 As the name suggests the common areas in the school are used as learning elements – staircase with printed tables, windmills around the common areas etc. 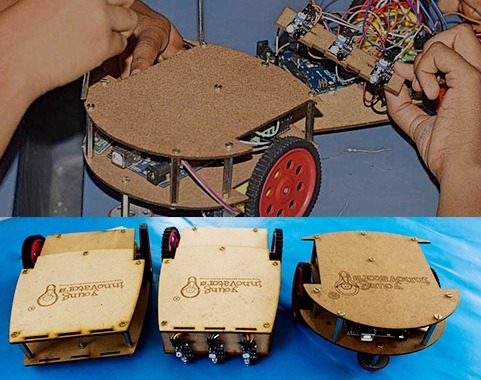 Robotics is breaking new ground in learning methodologies around the world. To sensitize students and cultivate an interest in scientific know-how, robotics serves as a great tool. It nurtures the passion for inquiry in students. Robotics sessions are mandatory for all. It keeps the students engaged until they resolve the issue or find a solution for the problem in hand. It not only enhances their logical perception but also improves analytical and reasoning ability. In line with the philosophy of experimental learning, Mathematics laboratory is provided. They given an opportunity to experiment and explore patterns and concepts. 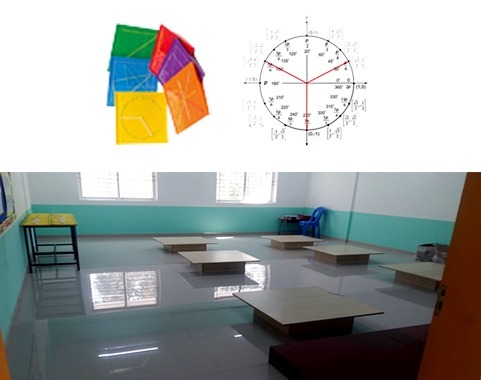 It is a place for students to discover Mathematics by doing. Interesting activities for a wide range of students with varying proficiency are introduced with the goal of generating further interest. These in turn help students to visualize, manipulate and reason, while solving problems. 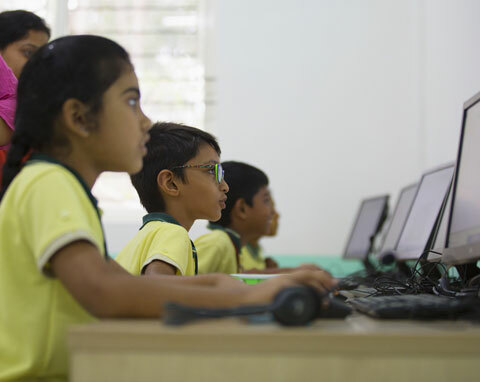 Information and Communication Technology (ICT) is an integral part of Glentree curriculum. We have a well equipped computer lab with well-qualified and efficient faculty. Learning and training in Taekwondo/Karate helps the child not only to be able to defend oneself but also prepare the child to face the future with confidence. 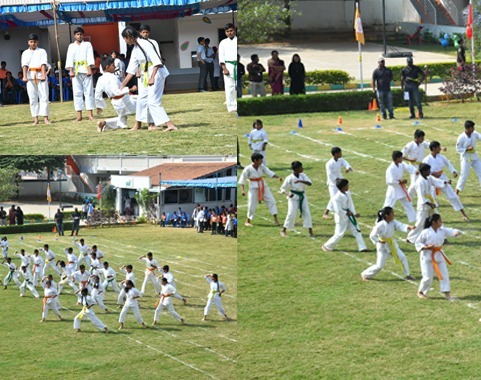 To help the students develop important traits like sincerity, self discipline, focus and concentration Taekwondo/Karate are very helpful. The students these days have multiple opportunities to get distracted through mobile, internet, television etc. To add to these, there are social and family challenges, anxiety, bullying and emotional issues that also take a toll on students. 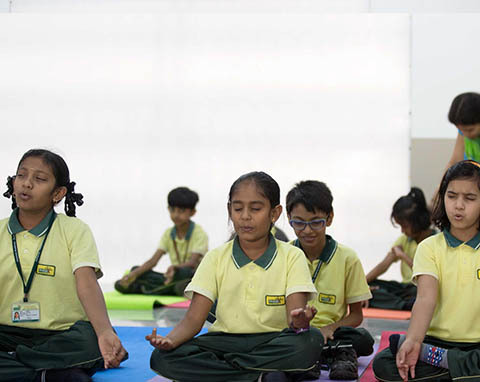 One of the fool proof methods of dealing with this is Yoga and is best when practiced from early age. Students are encouraged to participate in organized sports to offer them a chance to enhance their physical and social skills. 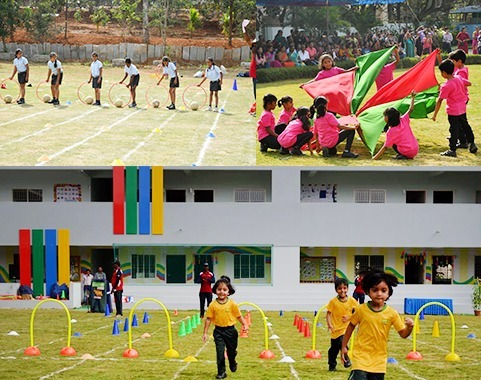 Sports help in cultivating a sense of friendliness among the students and develop their team spirit. It helps students to grow in mental and physical toughness, in character building and in improving their energy, strength and stamina. 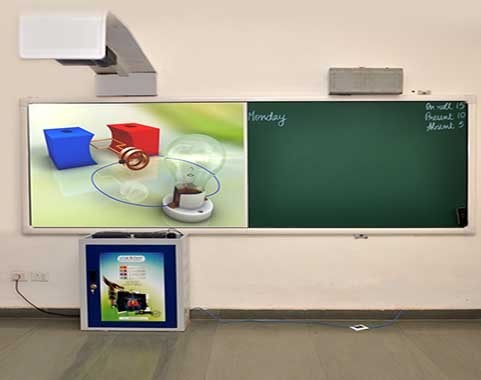 To provide students with an enriched learning experience by projecting visual elements, digital boards are installed in every classroom. SMART BOARDS provide new ways for teachers to teach, and students to learn. These tools support a wide variety of learning styles. It enriches classrooms in several ways by providing hands on collaboration and creating the perfect learning setting. The touchscreen option allows teachers to run programs with the tap of their finger. This makes content easily accessible for teachers and students. Field trips are recognized as important moments in learning; a shared social experience that provides the opportunity for students to encounter and explore novel things in an authentic setting. 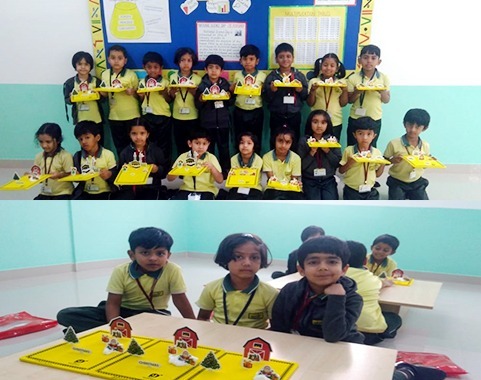 They are arranged on regular intervals to give the students a chance to learn about new environments at their own pace, without having to worry about any exams or marks. 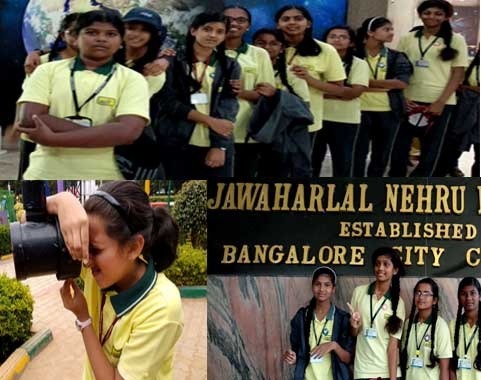 Through educational field trips, students also get a chance to witness new information, and learn about things around them with a fresh and informal perspective. 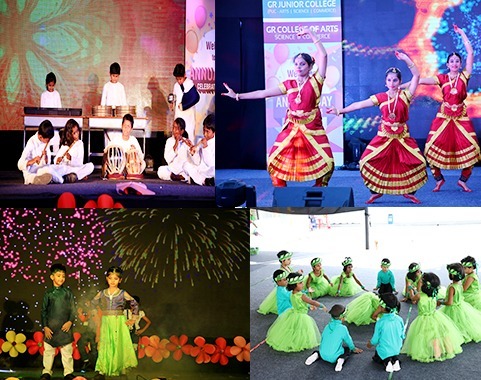 Performing Arts not only provide opportunities for students to develop a creative passion, but also teach communication, language and leadership in unique ways that inspire individualism, self-reflection and self-esteem.Participating in these activities help them learn to commit to a task; prepare themselves emotionally, physically and mentally; and work towards the goal of mastering and sharing their skills.